We live in a bold new world, bellas. No longer do you have to sit back and dream of being an entrepreneur – thanks to the internet and social media you can literally come up with a business idea and launch in less than 24 hours if you get your ducks in a row. Be forewarned — being an entrepreneur may look easy and appealing from the outside, but it takes guts, determination, late nights, deferred dreams and real honest to God effort. It is not a lifestyle for everyone. It requires diligence and sacrifice. One entrepreneur who is doing it and doing it well is Gwen Jimmere, CEO and founder of Naturalicious. If you read my previous interview with Gwen from 2015, you already know her hustle is on another level. Click here to read that piece if you haven’t before – Gwen breaks down what it took to become the first African American woman to own a patent on a natural hair product. 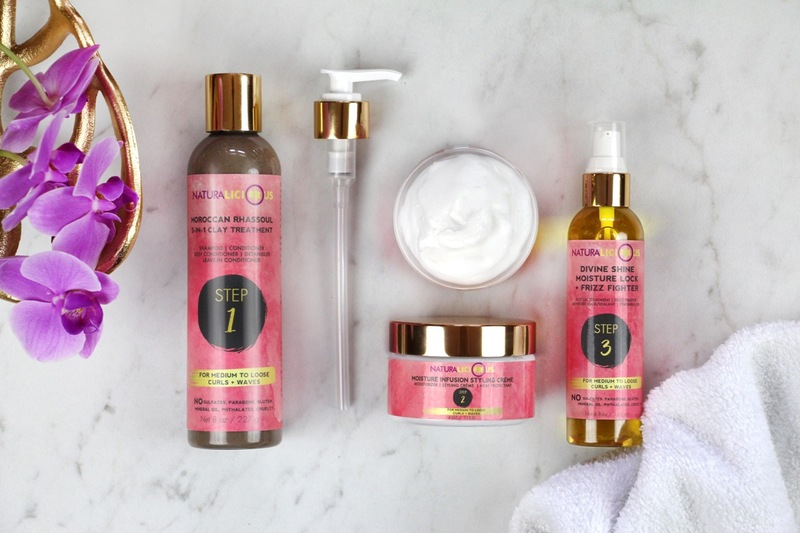 Naturalicious has expanded and now is in beautiful new packaging — check out their Hello Gorgeous Hair Care System For Tight Curls + Coils for a great intro to the brand. 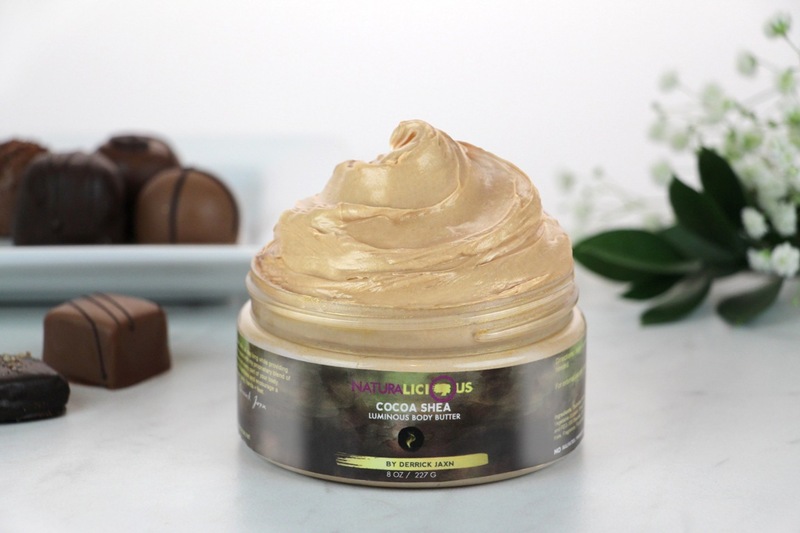 Most recently, Gwen expanded into bodycare and launched a new product partnership with popular online motivational figure Derrick Jaxn – click here to check out their Cocoa Shea Luminous Body Butter. It looks so good I want to eat it! Recently I reached out to Gwen to catch up and share some additional lessons from her entrepreneurial journey. She offered tips that apply to entrepreneurship and honestly, life in general. Take it away, Gwen! — While physically making products is fun now, it gets old real quick when you can’t keep up with demand. Train someone to do this job for you. Same for shipping orders. — Almost everything that will really grow your business costs money — sometimes significant amounts of money. Prepare to spend some dough to make this thang grow. — You will always be in “school” learning something new. Classes here. Workshops there. Trainings, coaching, consultants. You’ll never stop learning. — Be selective with the networking events you go to and particularly leery of those that are both free and open to everyone. — You are about to literally birth another child. If you don’t give her enough attention, she will be cranky and difficult. If you don’t invest in her, she will be uncooperative. You’ll be up all night oftentimes trying to keep her happy and satisfied. She might wake you up in the middle of the night and it’s hard as hell doing it alone. You will worry about her best interest; you’ll do anything for her and be ready whoop a trick if they try to cross her. — Hire people smarter than you at specific tasks up front. You’ll grow faster and possibly more smoothly with a lot less stress and a lot more sleep. ** Sleep is a requirement. Screw #teamnosleep. You cannot be an effective boss if you’re tired with bloodshot eyes. Besides, how are you gonna have a beauty brand and you look a mess? — Not everyone is going to understand why you do what you do or even what you do. This may affect some relationships — sometimes positively, sometimes negatively. — Mean girls who made fun of you in grade, middle and high school will become some of your biggest and most loyal customers. You’ll be both amused and appreciative at how they once made fun of your hair, but now they’re buying your hair products each month religiously. — Guys who you’ve never met will slide in your DMs asking “how you been”, telling you they always knew you would be successful, and asking if you remember them from [insert event/city/school/organization] back in the day. You won’t remember them. — Almost every major move you make will not necessarily be because of a friend but it will certainly be with the help of a friend. Be intentional about your friendships and never get too busy to be a good one. Real talk from a real hardworking indie beauty business owner. Quite a few of those tips absolutely apply to my own path, how about you? Check out Gwen’s products at Naturalicious.net, and check her out online @Naturalicious on Facebook and Twitter and @Naturalicious_Beauty on Instagram. Gwen Jimmere is a gifted visionary on an unrelenting mission to shatter the rules of the beauty game and change them for good. 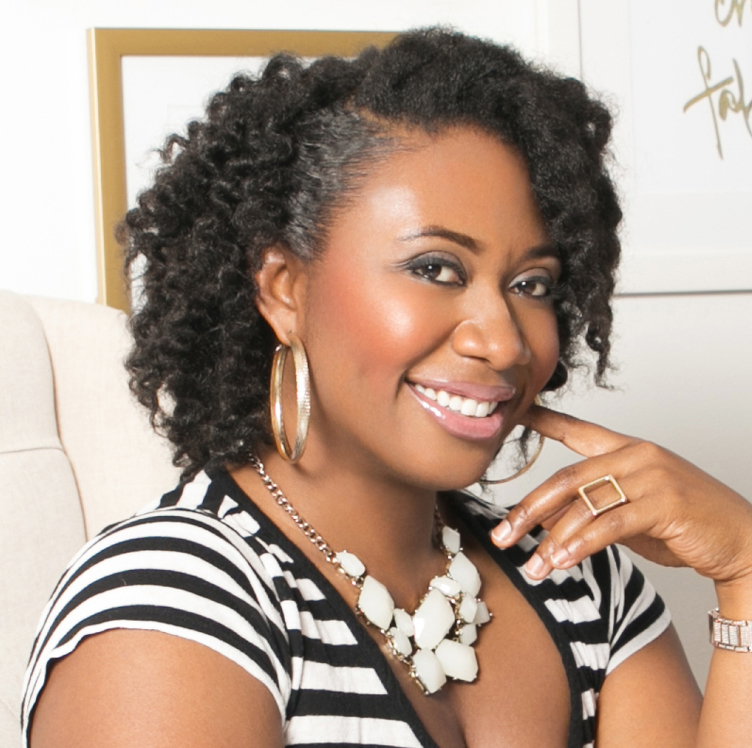 As CEO and founder of Naturalicious, she’s already cemented her place in history as the first African American woman to hold a patent for a natural hair care product. She is the mastermind behind The Hello Gorgeous Hair Care System; the only sulfate, paraben, mineral oil, petroleum, gluten, and cruelty free line of products that actually smashes your hair care routine into smithereens by combining several necessary steps for flawless hair into only 3 simple products. A respected authority in the hair care industry, she was named one of the 100 Most Influential African Americans in the U.S. as a 2016 Root 100 Award honoree, she is the winner of the Black Enterprise Elevator Pitch Competition, and has been featured on Fox News, TVOne, and in Entrepreneur, Essence, Fast Company, and The Washington Post. Gwen’s irresistible charm and relatable personality make her an explosive and highly sought after speaker. She lights up stages across the country, giving keynotes and talks on what it takes to win in business, entrepreneurship, and life. Based in Detroit, MI, when she’s not strategizing her next business move, you can find her hanging out with her son Caiden, Naturalicious’ CCO (Chief Candy Curator). Great business advice and even a bit about romance.